Book an Emirates first class flight for the ultimate luxury in flights from or to Dubai. To see what you get here's a video taken whilst flying first class with Emirates from Dubai to Paris (France) on the Airbus A340-500. 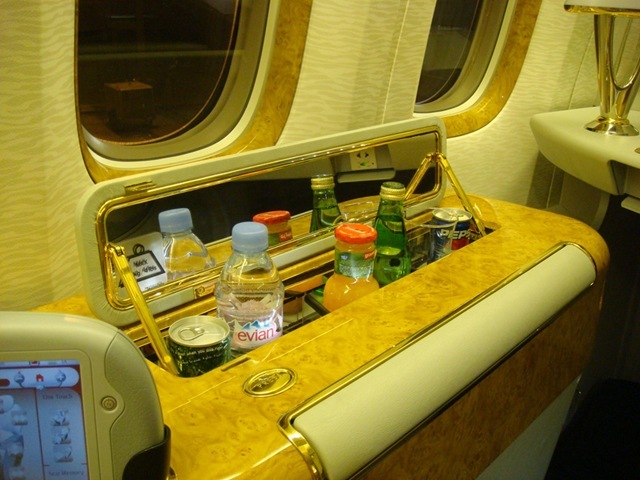 "GrillGuy" has his "best flight ever" in a first class flight with Emirates from New York to Beijing via Dubai. Just press the button next to you when you're thirsty and out pops some cool drinks.